After yet another battle with DREGG’S TECHNOGANSTERS, the TMNT return to their lair with Carter. Dregg now has the law on his side. The TMNT narrowly escaped being arrested. Carter and the Turtles are fed up. They are tired of Dregg’s ability to fool the humans into believing that he is their savior! After challenging Dregg to a final showdown, they find themselves on the losing end. 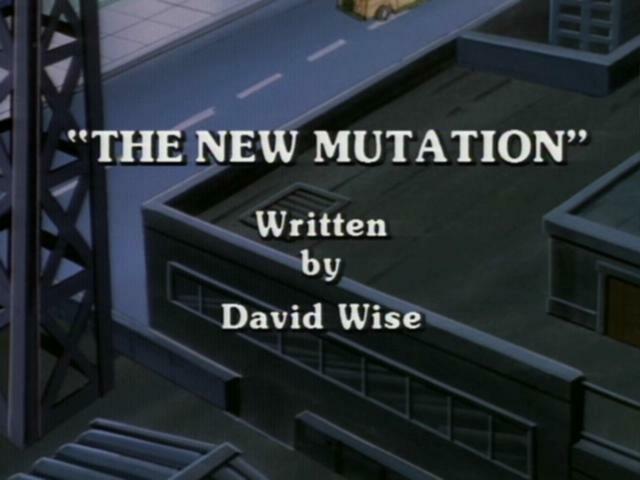 Only this time, their new mutations have been captured on film and now the world believes the SuperTurtles to be evil horrible monsters. Unbeknownst to anyone the SLORR was released from its incubator and now it is missing. So, while Carter works on his Wrist Ray, the Turtles journeyed to the mountain site of Dregg’s new base of operations: The Citadel. No sooner than the Turtles arrive, then they are attacked and mutate into their Super-Turtle forms. Dregg sends the REPLICON, a robotic warrior after them. They keep mutating and demutating during their fight. Every time they destroy the Replicon, it “replicates” itself in multiples. Meanwhile, April contacts Carter about the Giant Slug Creature (The Slorr) that is attacking the Northside mall. Carter discovers that whatever piece of metal the Slorr ingests, becomes part of it’s physical make-up. Carter tries out his wrist ray and it works to stop the Slorr. The Slorr then flies away. Later, Carter and the Turtles team up and overload the Citadel generators with the X-fire fuel, in hopes that it will blow itself up – which it does and successfully reverse the Slorr’s growth pattern back to its original slug-like form.